CHARLOTTE, AMALIE, St Thomas, USVI- Acting Governor of the US Virgin Islands, Mr Osbert E. Potter announced Wednesday June 1, 2016 that, beginning in 2017, the Virgin Islands Carnival (St Thomas Carnival) horse races will be held on Thursday, following the J’ouvert Morning festivities. The move follows historically poor turnout at the Children’s Parade here, which has grown worse in recent years. 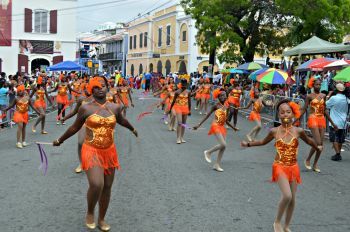 Traditionally, the races have been held on Friday, the day of the Carnival Children’s Parade. 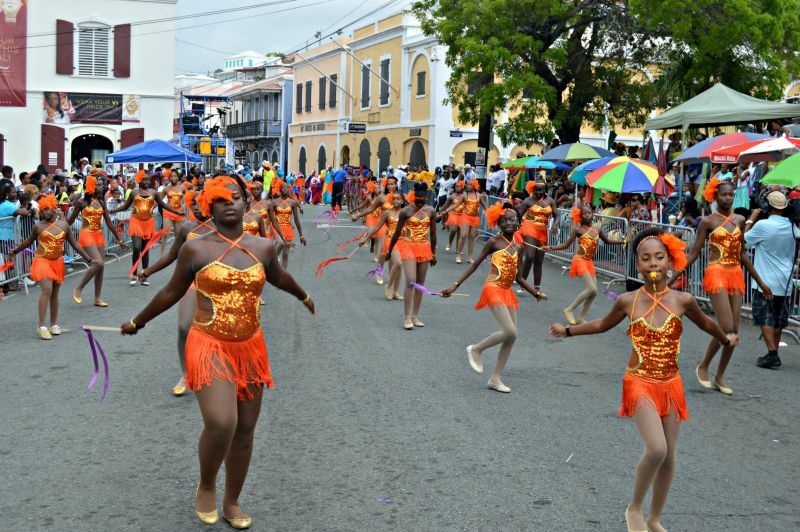 Following the 2016 parade, however, Governor Kenneth E. Mapp indicated he would seek to increase adult attendance at the children’s parade, which he believed was limited due to the competing horse racing schedule. Mr. Potter had convened two meetings in May with representatives of the Horseracing Commission, the V.I. Horse Owners Association, the V.I. Carnival Committee, and the Department of Tourism with the Virgin Islands Police Department, Department of Sports, Parks and Recreation and St. Thomas Administrator consulting. .
“Everyone was cooperative and united behind the same goal, which was to encourage more spectators to support the children during their parade,” Mr. Potter said. He said that over the years, the number of people attending the children’s parade was declining in proportion to increasing numbers attending the horse races. “We want to recognise the efforts of the children to put on a great parade and reward them with visible appreciation.” The acting governor added that Police Commissioner Delroy Richards has assured all concerned that changing the day horse races are held to J’ouvert Thursday would be perfectly manageable from a public safety perspective. Rock making changes and we up here in the BVI dicking around. check to see who is the minister up here should I say more? Sunday would've been the better shot because it will affect the attendance from the BVI. Look how easy that transpired!!! If this was to happen in Tortola, it would have been a hauling and a pulling!!! What's your point? Since when Jouvert or Horse Race is a must attent, simply make the decision to attend which function is most important to you. If both of them are on the same level, no sleep for the weak---attend both of them.